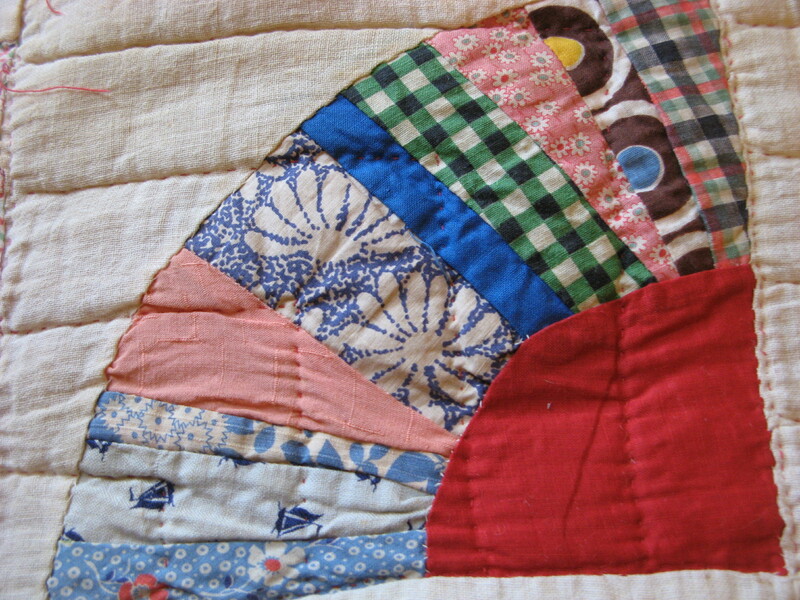 This is an old fan quilt that was made by one of my aunts in approximately the 1950s (but that is just a guess on the age). I like the old fabrics and the red of the fan handles ties everything together. It was well used with some stains and age spots but it is a wonderful reminder of the idea of using all of the left-over dress scraps to make something both useful and beautiful for the family.